2019 9th of June at 2 AM. Szentendre, Duna korzó 5. Salomon t-shirt in the start pack. All finishers get a FNSHR medal. Additional prizes will be awarded to the top three male and female finishers in each of the race distances. Runners arriving after the cutoff time are not eligible for prizes. Be informed about the race’s specialties, the length and difficulty of the chosen course and has to be physically well-prepared for the event. Have appropriate mountaineering, wilderness survival and wilderness navigation skills. Be able to manage mental, physical and digestive problems without assistance. Be aware of the fact that the organizers are not responsible for solving the problems listed above. By partly self-supporting we mean that between any two consecutive aid stations the runner is responsible for solving problems related to his/her physical, mental or other weather related conditions. To this end all runners have to adhere to the following rules: Runners have to possess all mandatory equipment (see below) during the whole course. Organizers are free to check it anytime. Preventing or refusing the control will result in immediate disqualification. Upon leaving the aid station the runner has to be sure that his/her supplies (food and drinks) are sufficient until the next post. Crew access is only permitted at aid stations. Runners are not allowed to be accompanied by anyone outside the race. 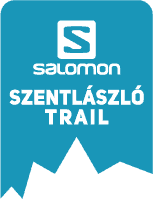 articipants of the Salomon Ultra-Trail® Hungary are required to carry the mandatory equipment through the whole course. This kit is the bare minimum that all runners are expected to complement based on individual needs. CLICK HERE AND GEAR UP IN OUR TECHNICAL PARTNER WEBSHOP! By registering the participant accepts all the race rules and etiquette. Registration is open from at noon November 1 2018. The only accepted way for registration is through ultratrail.hu. Onsite registration is not possible. The registration fee can be paid only via bank wire transfer or PayPal. All payments received by regular mail are treated as donations. Maximum number of runners: Limited to 250 runners. Registration is possible only within the designated registration period. Your registration will become valid once the appropriate fee (depending on the time of your registration) has arrived to the given bank account before the payment deadline. Unless the entry-fee is recorded in our accounting system in four days’ time after registering, registration will be cancelled.At the end of the registration period all entries without a payment will be dismissed. After April 1, 2018 no registrations or payments are accepted. For exceptional cases (ie. acceptance to the race after the registration period is over) please consult our Charity page. Please wire transfer the registration fee to the following bank account: Bank name: Budapest Bank BIC (Bank Identification Code): BUDAHUHB Account number: HU50-10101126-57307300-01004000 Account holder: mollis pluvia Kft. Registration can be cancelled only in email ([email protected]), until 12:00 PM (CET) March 1, 2019. In this case the full registration fee is refundable but we retain 10 EUR as a cost of administration. Cancellations in any other form (phone, fax, orally etc.) are not accepted. After 12:00 PM (CET) March 1, 2019 the registration cannot be cancelled. Registration transfer can be request only in email ([email protected]), until 12:00 PM (CET) May 1, 2019. Requests in any other form (phone, fax, orally etc.) are not accepted. After 12:00 PM (CET) May 1, 2019 the registration cannot be transfered. Timing is carried out with CheckpointSystem. The deposit for the personal chip is 5000 HUF, which should be paid at receipt, in the starting zone. We need the exact amout prepared, that is, a single banknote for 5000 HUF. In the starting zone we are going to refuse to exchange money or to accept any kinds of valuables as deposits. Competitors are supposed to get back their deposits in the finish zone, after handing down the personal chips. It is the competitors’ responsibility to preserve and to give back the chip. For competing at Suunto Sprint, you do not need to register, all Salomon Szentlászló Trail female and male racers (who Finished the race) are going to take part automatically. The fastest female and male competitor between Dömös (aid station) and Prédikálószék (check point) (2.5 km, +500) wins 1-1 Suunto Ambit 3 Run HR sport watch. You must use the bag that is included in your race packet (see the Participant Guide for the size of the bag). No other bags are accepted. Put the sticker (also included in your race packet) to the bag in a highly visible way and make sure the bag is securely tied. You can drop off your bag at the race check-in desk during check-in hours (see the Program). (We won’t transport poles or any other item that doesn’t fit in the provided bag.) The bags will be transported to Lepence (36km) by the organizers. You will get your bag by your bib number. All bags will be transported back to the finish after the aid station closes. You can reclaim your bag until 9:00 PM June 9, by presenting your race bib at the drop off point. Should you leave your bag at the venue we will mail it to you at your own expenses and request until June 30, 2019. After June 30, 2019 we will donate all remaining gear. Access to aid station is restricted to runners with appropriately placed race bibs. The exact location of the aid stations is detailed in the Participant Guide (from 2019 May 1). At our aid stations runners will have access to the following refreshments: water, sport drink (isotonic), coke, crackers (both salty and sweet), chocolate, bananas, apples, pickled cucumbers, olives, dried fruits, sausage, bread and cheese. Veggie soup are available at Pilisszentlászló aid station. There will be NO disposable plastic cups at the aid stations. Be green bring your own reusable one! There will be a few medical and first aid station at the start/finish area and checkpoints operated by a professional crew. In case of an injury call the number on your bib immediately for assistance! All participants are required to assist fellow runners in case of emergency! We will record the crossing times at several checkpoints along the course. The organizers reserve the right to operate previously unannounced checkpoints. Cutoff time 17 hours. Aid station cutoffs can be found in the Participant Guide and on the itinerary. Intermediate cutoffs are adjusted to a successful completion of the race near the full time limit. Runners who arrive at a checkpoint after the cutoff will be disqualified. The organizers reserve the right to stop the race or alter/change the cutoffs based on weather or safety related reasons. There is a rest area with shower access near the race check-in. Massage is available for runners free of charge. The course is marked with its very own ribbons and signs. For better visibility we also use reflective tags over the night section of the course. Organizers will make sure that race rules are followed and will act according to the following rules and regulations: Cutting parts of the course – 1 hour penalty. /// Cutting a minor switchback – 15 minutes penalty. /// Missing mandatory equipment – Immediate disqualification. /// Impeding or refusing the equipment check – Immediate disqualification. /// Littering anywhere on course (It’s a freakin’ forest!) – Immediate disqualification. /// Disrespectful behavior (with volunteers or other runners) – Immediate and lifelong disqualification. /// Cheating (using any vehicles, changing bibs etc.) – Immediate and lifelong disqualification. /// Covering the bib – 15 minutes penalty. /// Bib worn improperly – 15 minutes penalty. /// Skipping an aid station – Immediate disqualification. /// Ignoring or violating the instructions of any personnel (medical staff, station captain, organizer) – Immediate disqualification. /// Arriving after cutoff time – Immediate disqualification. /// Failing to provide first aid – Immediate disqualification. /// The 15 minute and the 1 hour penalties take effect immediately, which means that the runner must stop and cannot continue the race until the penalty time is over. All other cases not discussed above will be judged by the organizers. A written objection must be submitted within 2 hours following the finish. It costs 5,000 HUF which is non-refundable if the complaint is not acknowledged. Altering/changing locations, the course, or cancelling the race Organizers reserve the right to change or alter any parts of the course, places of aid stations, checkpoints or modify the time and location of the start or cancel the event without prior notice due to severe weather conditions or other unexpected conditions. Should the race be cancelled due to circumstances beyond our control up to 15 days before the race, the Organisers reserve the right to refund 50% of the registration fee paid. This percentage is calculated to enable the Organisers to cover part of the expenses incurred which cannot be recovered. Should the race be cancelled or interrupted for atmospheric reasons, or for any other reason beyond our control, no refund of the registration fee will be made. The Participant Guide, containing the location of start/finish, race packet pickup details, baggage storage, cutoff times, and location of first aid places, aid stations and course description will be available online at ultratrail.hu after May 1, 2019 in downloadable format. With the registration you are relinquishing all your entitlements to copyright over any photographic content produced during the event. The organizers possess all these rights and may pass them on to other parties. No dogs or other pets are allowed over the course.